If you have been trying to get hold of the illustrious Nexus 4 via Google Play in the last few months, there is a big chance you have been left frustrated as the device has been sold out for most of the time it has been available. The handset has been offered via a number of carriers though, but this is often at the expense of a costly contract. Now consumers in the UK can get the Nexus 4 via Virgin Mobile on a contract. The handset has already been available in the UK on a contract via the likes of O2 and Three, but most people are looking to pick up the device from the Google Play Store because of the fact there is no contract involved, and the handset is offered at a competitive price considering the specifications. Now Virgin Mobile that are one of the smaller carriers in the UK, but piggy back onto the network that Everything Everywhere uses, are offering the Nexus 4 to its customers. The carrier will provide the handset from free on condition you agree to a new two year contract going up to Â£99 depending on the contract. The lowest monthly plan you can get with the Nexus 4 on Virgin is Â£31 per month with no upfront fee, and for this you get 200 minutes of talk time, 500 SMS messages, and 500MB of data each month. If you go for the Â£39 per month plan the carrier will provide you with unlimited calls to landlines, 2500 minutes of calls to mobiles, unlimited texts, and unlimited data. You get the same handset that features the 4.7-inch True HD IPS touchscreen display, which is powered by a quad core processor clocked at 1.5GHz with 2GB of RAM. Internal storage for the Virgin Nexus 4 is 16GB, and the camera on the back uses an eight megapixel sensor running Android 4.2 Jelly Bean. 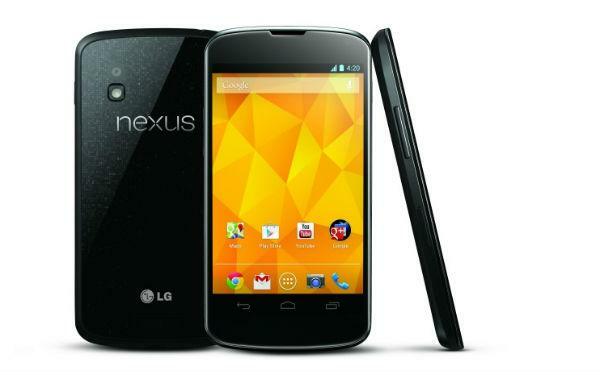 This should shortly be updated to Android 4.2.2 though as reports recently stated that some Nexus 4’s had begun receiving the new firmware, and for more information on the Virgin Mobile Nexus 4 click here. Will you be getting the Nexus 4 from Virgin?